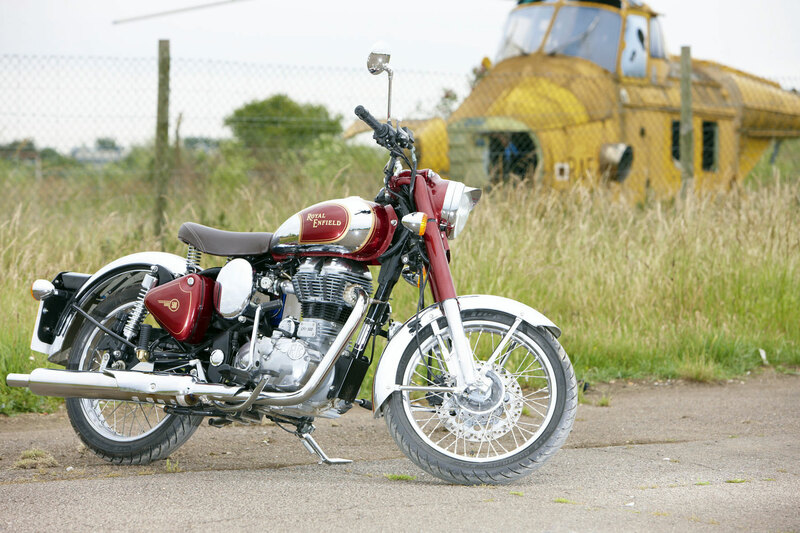 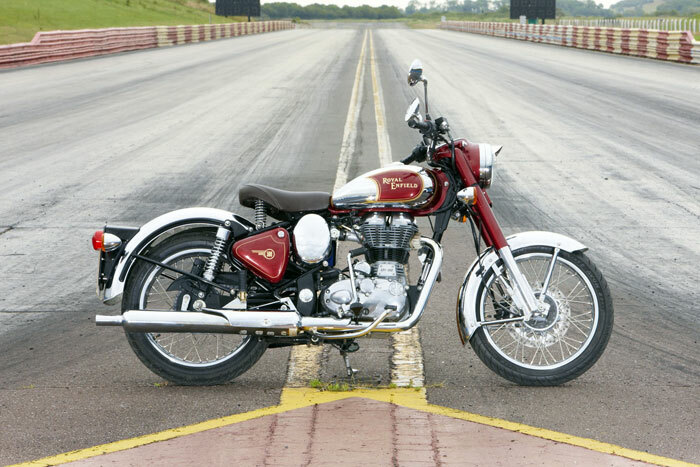 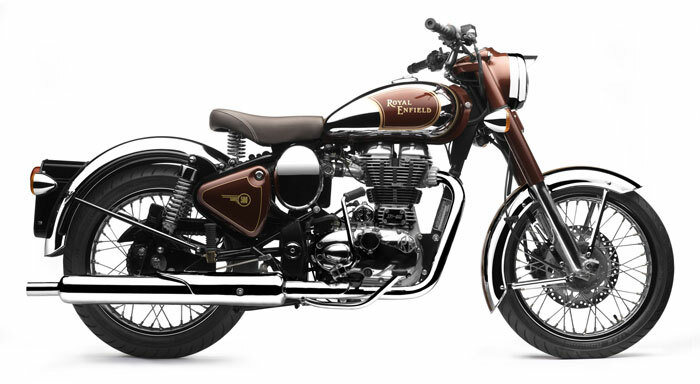 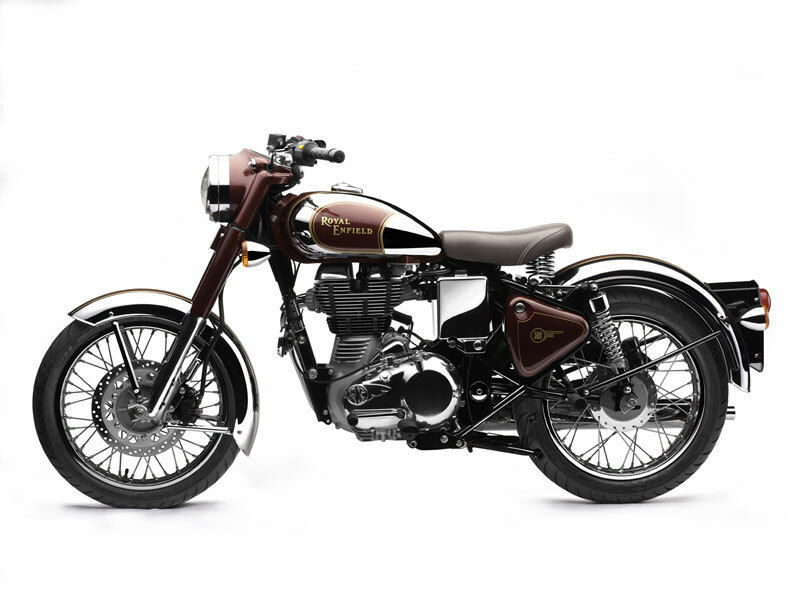 With its chrome tank, matching mudguards, oval air box covers and rear shock absorber shrouds the Classic Chrome exudes lustrous charm.Front forks, headlamp nacelle and tool boxes have a deep red paint and the tool boxes are finished with gold pin-striping. 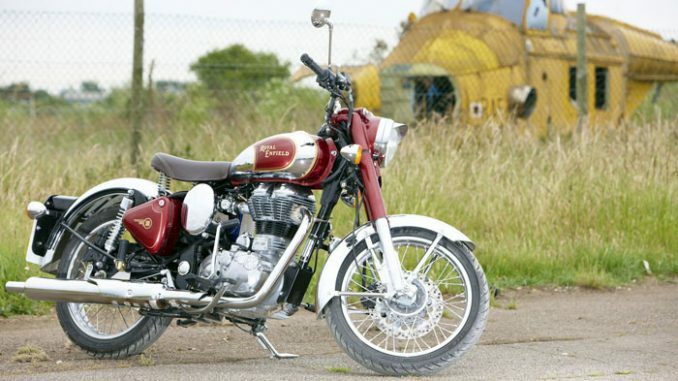 The fuel tank and mudguards all have a broad red stripe, also finished with gold pin striping. 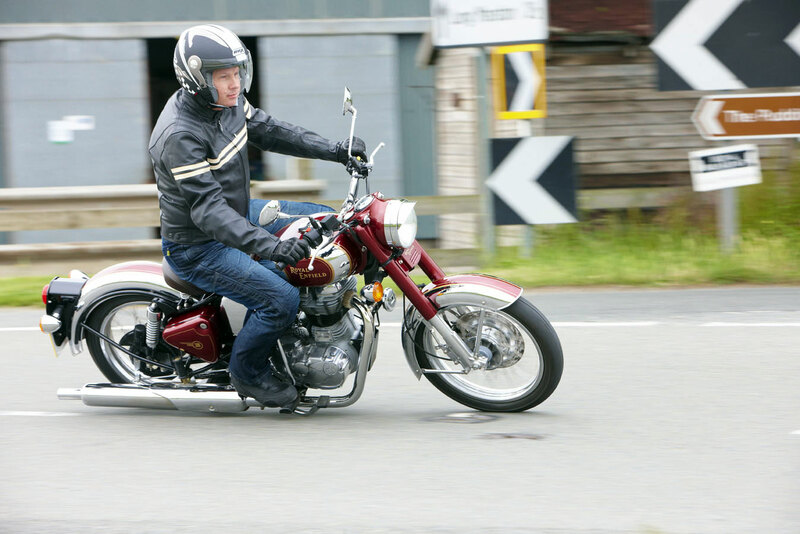 Its solo sprung seat is in brown leatherette and a matching pillion pad is available as an accessory.